We could remember recently when Corning launched their Gorilla Glass 5. Rumors has been on the internet that Oppo Find 9 will be coming with Corning Gorilla Glass 5 screen display. To remind us, Corning Gorilla Glass 5 (GG5) is the latest display glass by Corning. This said Glass is claimed to withstand face-down falls of up to 1.6 meters high in up to 80% of occurrences. 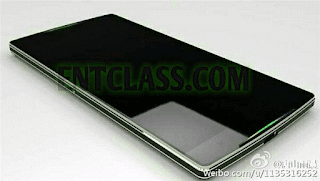 According to rumors, Oppo Find 9 will be powered by Snapdragon 821 known as SD823 chipset. Featuring a 5.5 inch QHD screen display. Massive 8GB RAM and 128GB internal memory. This smartphone packs a 21MP Dual rear camera and a single 16MP front facing camera. The battery capacity of this smartphone is not that bad as it also packs 4100mAh battery capacity with Super VOOC fast charting.